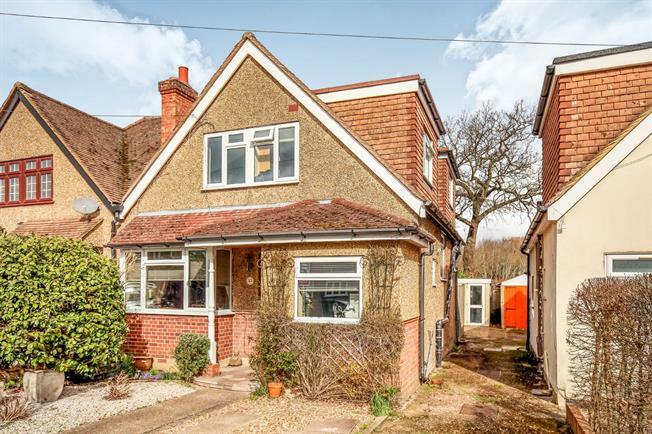 3 Bedroom Semi Detached House For Sale in Woking for Guide Price £399,999. This attractive home lies in a sought after area of Old Woking. Walk in to a spacious entrance hall, and discover a large cloakroom, a dining room to the front of the house as well as a versatile study/additional reception room. Walk on through to discover a traditional kitchen with a stable door leading into the garden, as well as a cosy living room with an open fire flowing into a bright conservatory. Upstairs all three bedrooms are doubles and share a modern family bathroom. The large rear garden is framed by mature trees and backs on to allotments so offers a pleasant semi-rural aspect, a view enjoyed especially from the master bedroom. Call one of our property professionals today and we will arrange to show you around!